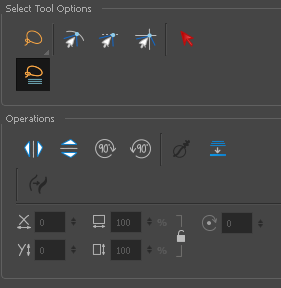 When you use the Select tool, its properties and options appear in the Tool Properties view. NOTE: To learn how to use the Select tool, see About the Select Tool. Sets the selection mode to Lasso. Click and hold Alt to temporarily switch between the Marquee and Lasso modes. Sets the selection mode to Marquee. Click and hold Alt to temporarily switch between the Marquee and Lasso modes. Snap to Contour Snaps your selection or point to any line you position it on. As soon as you move it close enough to another line, your point or selection will snap to it. Snap and Align Snaps the selected anchor point to any existing line while displaying temporary rulers as a guide that you can also snap your anchor point to. Snaps your selection following the currently enabled grid. Lets you select all the zones and lines in your drawing painted with the same colour swatch. In the Camera or Drawing view, click on any zone or line in your drawing. All zones and lines of the same colour are selected. Click the Select tool again to return to the regular Select mode. NOTE: Only the zones painted with the SAME colour swatch will be selected. If another zone is coloured with the exact same RGB value (same colour), but not painted with the same colour swatch, it will not be selected. By default, when you draw a selection box in the Camera view, the Select tool will select only the drawing strokes of the current drawing. If you prefer the Select tool to select all the strokes on all layers, you can disable the Works on Single Drawing option in the Tool Properties view or disable the Select tool Works on Single Drawing preference. To do this, go to the top menu, select Edit > Preferences > Camera (Windows/Linux) or Harmony > Preferences > Camera (Mac OS X) and uncheck the Select tool Works on Single Drawing option. 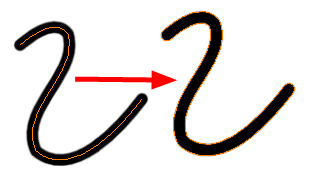 Smooth out selected drawing strokes and remove extra points. Merges drawing objects and brush strokes into a single layer. 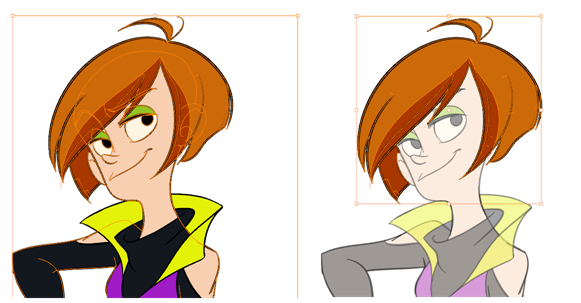 If you draw new lines to fix a drawing or line with many brush strokes, it can be useful to flatten them all into a single shape. By default, lines are drawn one on top of each other. If you intend to repaint the lines or modify their shape, it will be easier if they are flattened. Lets you use the outline you traced on one of the four embedded layers (line art, colour art, overlay, underlay) and create invisible strokes to paint your drawings on separate layers. This provides more inking and painting flexibility. You can also configure this option to create the invisible strokes on any of the four embedded layers. The Distribute to Layers option is used to separate the selected art strokes and send them to new drawing layers. 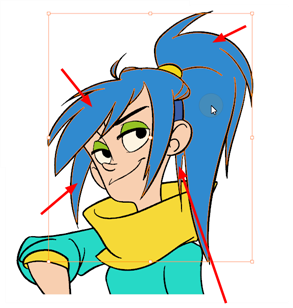 In the Camera view, once you have drawn your artwork, you can select the strokes you want to distribute using the Select tool and click on the Distribute to Layers button; you can also select Drawing > Distribute to Layers. It will automatically take every stroke from the drawing selection made in the Camera view and separate them into a different layer for each. If an artwork is composed of several strokes, you must group them using Edit > Group > Group before using the Distribute to Layers option. This option cannot be done from the Drawing view. Converts the selected centre line pencil strokes into contour strokes brush lines. 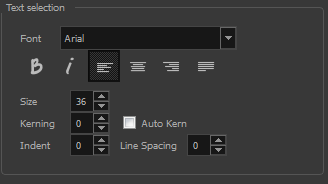 When you select a pencil line with the Select tool, additional options appear in the Tool Properties view. 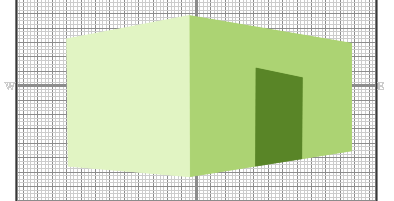 Use the Adjusting the Pencil Line Thickness operation field to resize the selected centreline strokes. This operation is not permitted on contour line shapes, such as brush strokes or shape fills. When you select text with the Select tool, the tool properties will display the Text tool options on the bottom of the view. You can also press Alt + 9 to display only the Text properties in the Tool Properties view—see Text Tool Properties.